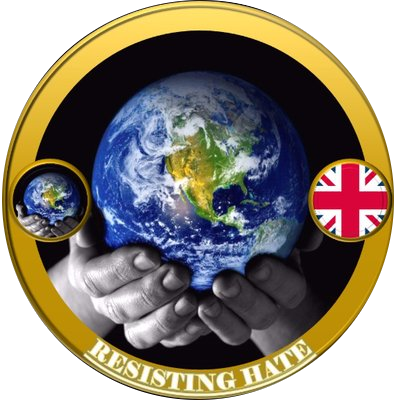 Tomorrow (27th September 2018) is the date of Tommy Robinson’s (real name Stephen Yaxley Lennon) trial for contempt of court. 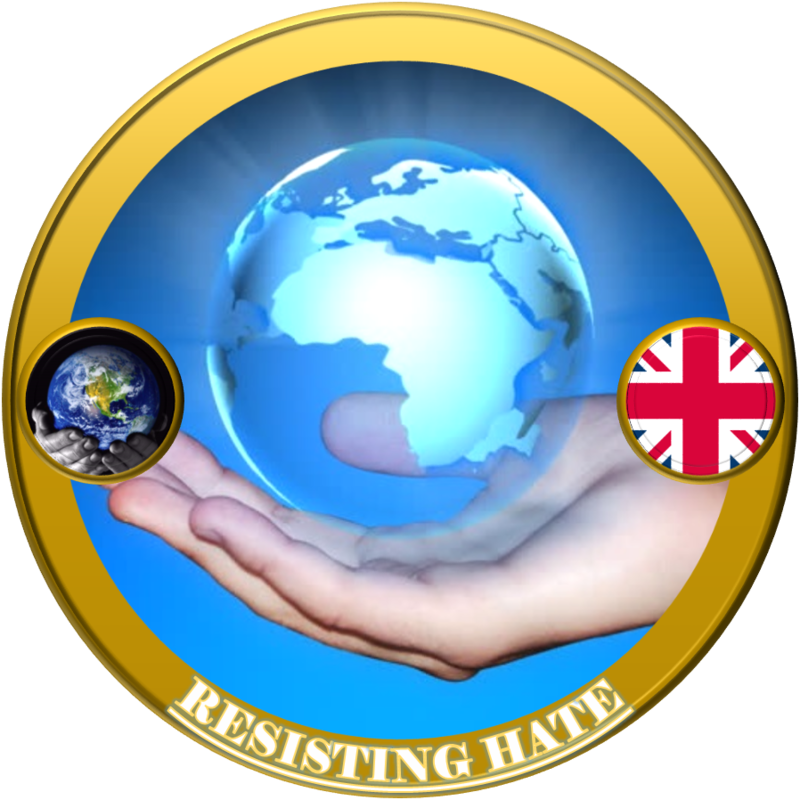 Both Resisting Hate and every other anti hate group out there have written extensively on the subject and will undoubtedly be updating all of our readers tomorrow once we have a verdict. But the purpose of this piece is to illustrate the reaction of Robinson’s far right supporters to his impending trial. All the following screenshots have been taken directly (with no photoshopping) from Robinson’s Facebook page and they are all posted in the context of Robinson’s trial. They illustrate the type of person who supports Robinson, both in terms of total lack of understanding of why the man is on trial and also for their willingness to embrace violence, threats and ‘civil war’ as retaliation if the British courts do decide to send Robinson to jail. This hot bed of far right radicalisation is a direct result of allowing social media platforms to high profile racists like Robinson and his ilk. These people have been brainwashed into believing there is nothing wrong with a man taking to a public platform to incite hate against our Muslim population. Some of the individuals even believe Robinson is doing God’s work! It’s laughable but at the same time very serious. These are threats against public order, against the judicial system, the police and against anyone who opposes their determination to see convicted fraudster Stephen Yaxley-Lennon not receive a jail sentence tomorrow. 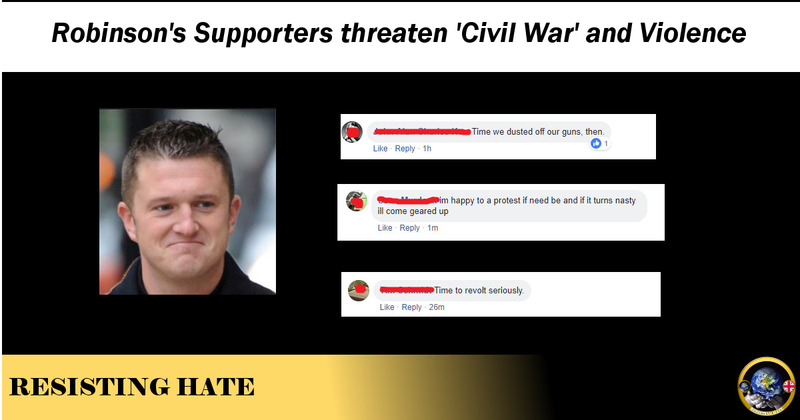 To our knowledge at least three individuals posting on Tommy’s page have been reported to the Met police for making direct threats. Thuggery is not political protest. The justice will take place in the courts tomorrow, not on the streets.